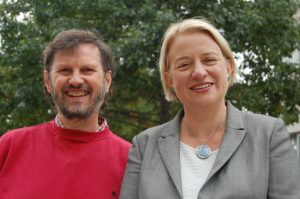 Public meeting and question and answer session with Natalie Bennett, former Green Party leader and Sheffield Central constituency MP candidate. Natalie Bennett will be speaking about her vision for Sheffield and why she wants to become the first Green MP of the north. Plus an opportunity to find out more about Green Party activity in the Manor Castle ward. 7pm for 7.15pm start. Refreshments will be served. There will be a collection for room hire. Pre booking not needed but if you can register it helps us plan for numbers.